While summer’s juicy fruits are quietly in the making, a yield of winter bounty is ready to be picked and shared. 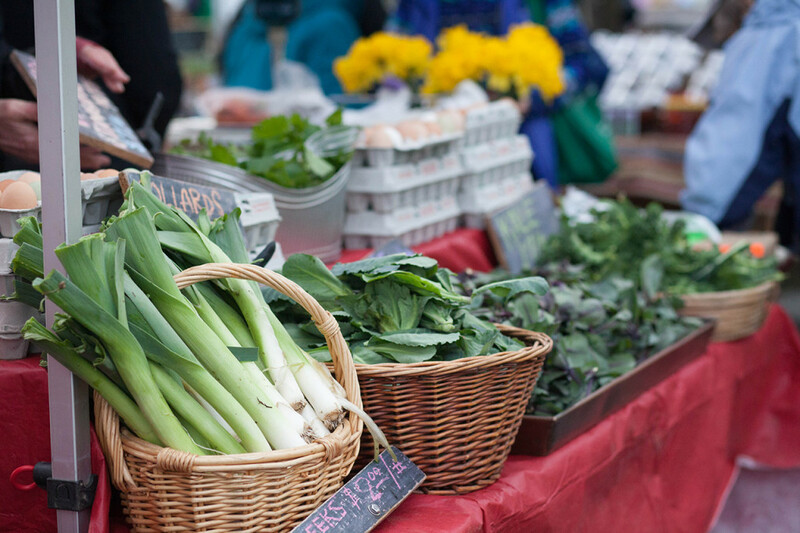 Tualatin Valley welcomes February as the Beaverton Farmers Market begins its winter hours. The winter market continues every Saturday of February, March, and April from 10 a.m. to 1:30 p.m. The weekly event is special in its own right. First, grab a cup of coffee from the Pony Espresso coffee cart. Owner Bruce Grafixs conjures the feeling of warmer days as he serves up local Stumptown Coffee and Stash Tea in a Hawaiian shirt. Other liquid treats await. The Tigard-made Souper Natural sources from local farms to make exotic varieties: Caribbean stew, sweet potato curry, and broccoli blue cheese. Additionally, our farmers markets support the area’s thriving winemaking community. Get Pinot Noir from small-batch wine producers, such as Gresser Vineyard. If you can, pick up a bottle of Gresser’s Recumbent Red, which includes grapes crushed and de-stemmed with a machine that is powered by a recumbent bike. Looking for something to chew rather than sip? Say oui! to the Twisted Croissant. Buttery, flaky and cooked to perfection, these croissants put tasty twists on this classic French pastry. With savory and sweet options, it’s hard to choose. On a recent visit, we were not disappointed by the croissant apple tart that was topped with apple compote and a Bavarian cream dome. It wasn’t just a croissant—it was a piece of art. Are we forgetting something? Oh yes—the vegetables! It is a farmers market after all. Wintertime yield is incredibly hearty. Root vegetables like potatoes, turnips, heirloom carrots, and parsnips wait for your culinary adventures in roasting, soup simmering, and slow cooking. We always pick up some leafy greens from the Tango Water Farm booth, too. By the time you’ve winded through the Beaverton Winter Farmers Market you’ll surely be feasted and full.